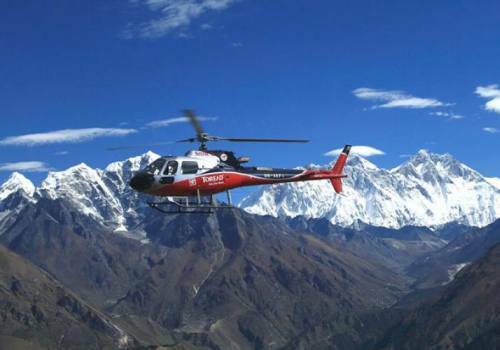 Helicopter day tour in Nepal starts from Kathmandu airport and it is one of the most pleasurable and thrilling space journeys to explore the Himalayas. The helicopter journey in the sky will reward you with breathtaking portraits of the Himalayas, tranquil green valleys, glittering snow peaks. we also land on the viewpoints to explore the region and get the real photograph done before we take the flight back to Kathmandu to end the exhilarating Helicopter day trip. 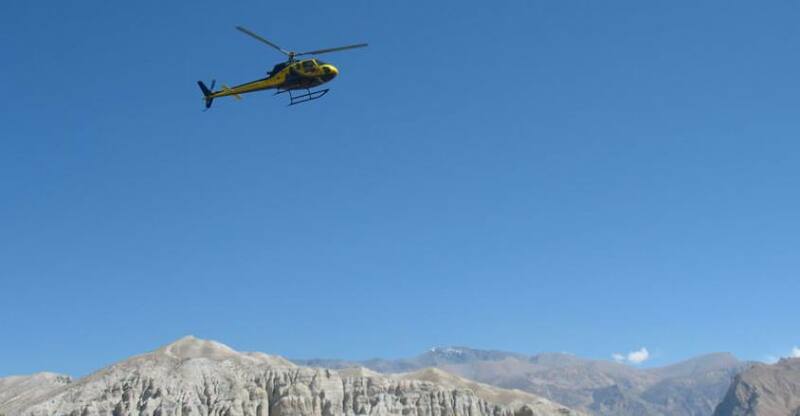 The helicopter tour can be run to shorten the trips Since the chopper needs only a small landing space, it can be hired to take tourists to whichever destination at any time they are willing to go. No wonder chartering a helicopter for sight-seeing / helicopter-trip has become a popular tourist activity in Nepal Himalayas. Nepal Helicopter tours are exciting. We offer helicopter for every hidden valley of Nepal Himalayas. These Helicopter Tours in Nepal are very much suitable for Every season, March, April, May, October, November and December of the year. We provide the unique experiences in the Nepalese Himalaya Helicopter service on reasonable cost, itinerary and price. It is fruitful to observe the naturally Nepal for the timely bounded people. Another hand It is the effective way of rescue flight in the high Himalayas in Nepal.